Jumpin' Jim's '60s UKE-IN. 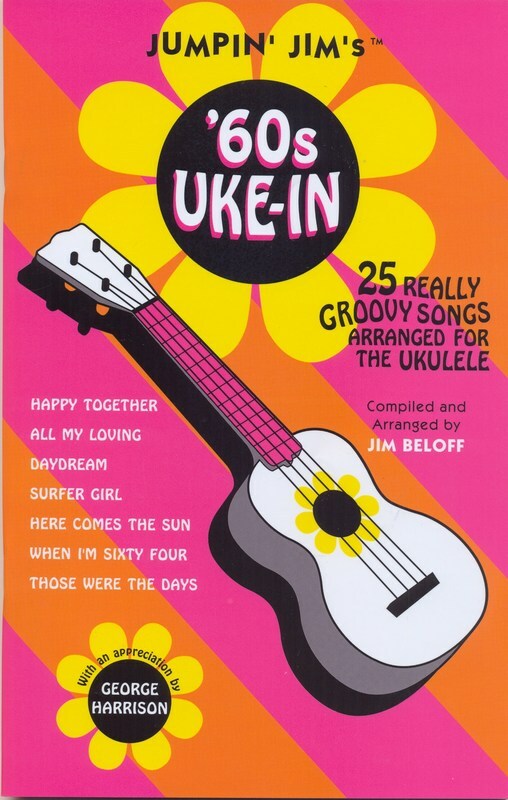 A songbook of 25 groovy tunes arranged for the first time for GCEA-tuned uke. Includes Happy Together, Daydream, Surfer Girl and many Beatle's classics. Featuring an appreciation by George Harrison. It's UKEDELIC!